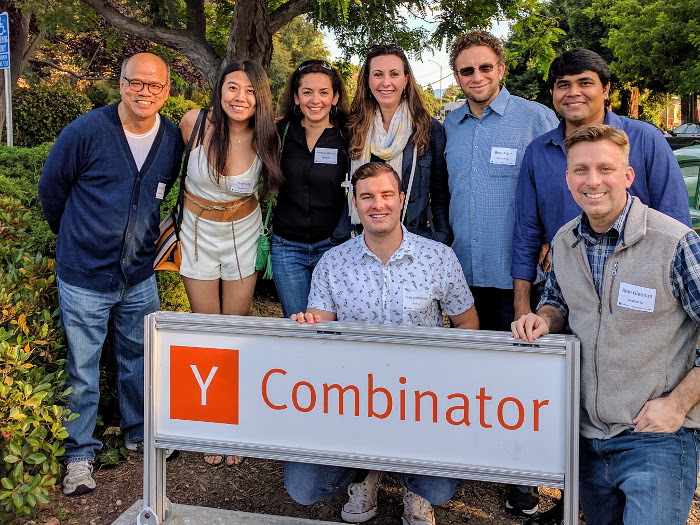 Y Combinator’s Demo Day for their winter 2019 batch is next week. This time around, the batch includes around 200 startups, and keeping all the pitches straight in my head requires a lot of homework. Before Demo Day, I like to know what the company does, check out founder Linkedin profiles, ponder the competitive landscape, and assess market size. There are so many companies! Fortunately, most of the YC batch reveal themselves online before Demo Day via blog posts, online interviews, Linkedin updates, or social media. For YC W19, 126 companies have made themselves known so far. As companies announce, I add them to a spreadsheet, investigate them, and take a few notes. I also assign them a score based on my impressions of their market size, growth, competitive landscape, and founder fit. This quantitative note-taking affords a ranking of the many companies–and the tails are where I think things get interesting. For the top ten companies, at Demo Day, I listen the most closely: is my description of the company and traction accurate, and are the founders up for the task? It is common for these companies to plummet dramatically in the rankings as I learn more about their plans. For example, during a Demo Day last year, one of my favorite companies was a farm equipment supplier of sorts; at least, that is what I thought. During the pitch, however, they pitched a consumer snack food. Companies in the top ten that move higher during Demo Day become my clear favorites, with a high chance I will request a meeting. The bottom of the list also gets special attention. I enter Demo Day with the assumption that I made a mistake about them. With a selection pool of 10,000-12,000 applications and a juggernaut portfolio, YC partners have a great deal of signal about tech company trends, emerging markets, and optimal founder characteristics. Usually, during the lower ranked pitches, I am able to identify my mistake. Sometimes the founder describes a market I had not considered. Most often, the founders themselves are particularly gifted–and likely the reason they were accepted into the YC portfolio. The March 2019 Demo Day will only be my third to attend as an investor. I have a tugging feeling that one of these companies I originally misunderstood will turn into a future breakout hit. My spreadsheet of company names, descriptions, and a blank scoring sheet can be found here. You are welcome to make your own copy, modify the document, and change the weights to fit your own hypotheses about the characteristics of a great startup. To respect the founders who wish to keep their companies confidential, the spreadsheet only includes ‘announced’ companies. If you do your own evaluations, I would love to know your favorites. If you are curious about mine, my top five are hidden away at the bottom the second tab of the spreadsheet. Weekend cartogram experiments and playing with Inkscape took over Monday too. 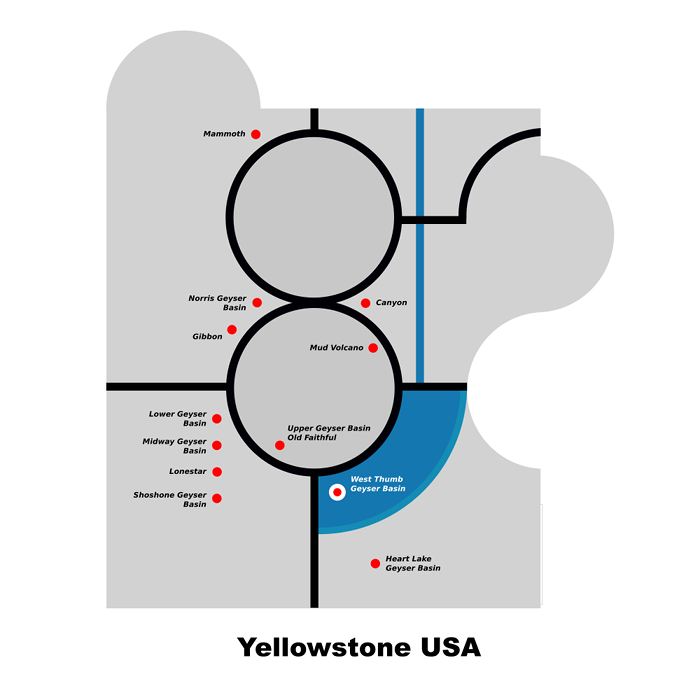 Here is Norris Geyser Basin. Since I now exclusively use Ubuntu, it is more difficult to use my normal cartography tools, i.e., Illustrator and ArcGIS. 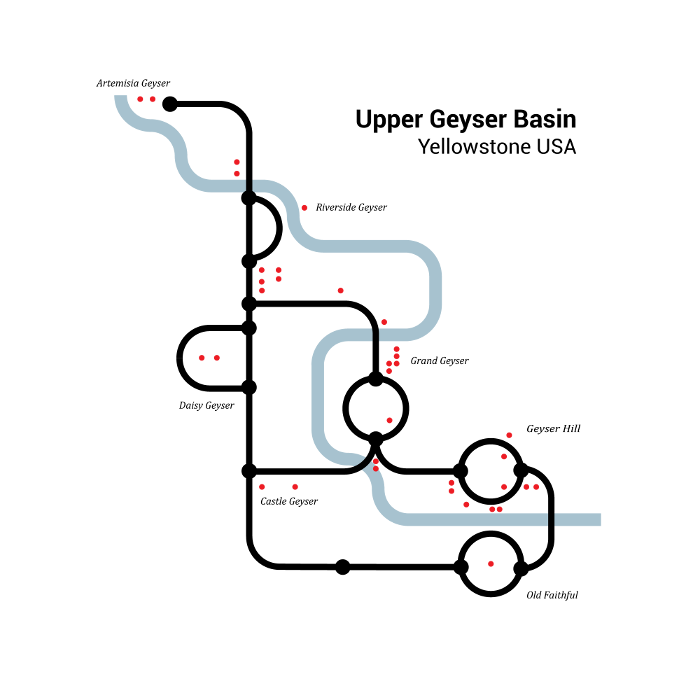 After posting the Upper Geyser Basin map yesterday, I decided to try open source Inkscape and see if I could make it work. Anyway, here is a start. 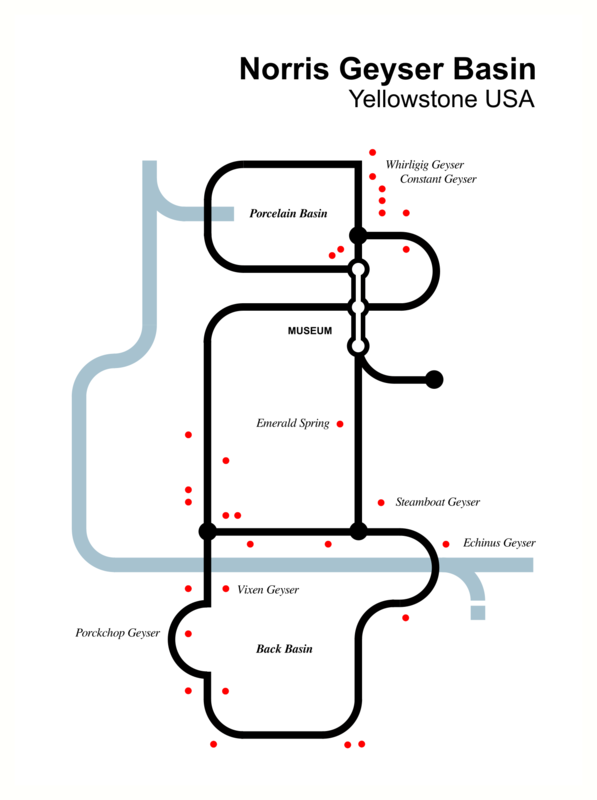 Inspired by Harry Beck’s London Tube map, here is my version of the geysers and trails at the Upper Geyser Basin. This is an unused figure from my 2013 doctoral dissertation on networks embedded in geographic space. 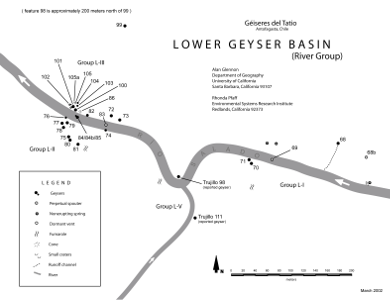 It includes three of my favorite things: geysers, maps, and networks. 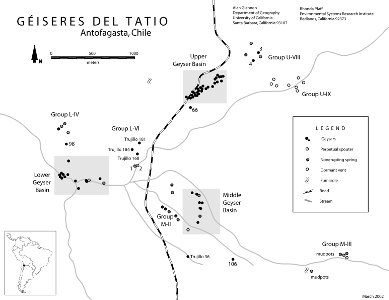 In 2002, Rhonda Glennon, Shane Fryer, Weldon Hawkins and I inventoried and mapped the geysers of El Tatio, Chile. 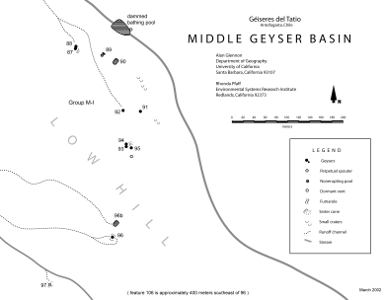 Our report was published in the Transactions of the Geyser Observation and Study Association, and the associated four maps were all reduced to fit into standard page sizes. 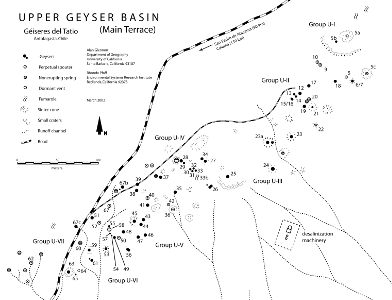 The maps were intended to be a bit bigger, so I am happy to release these maps in pdf format at their native resolution for download.